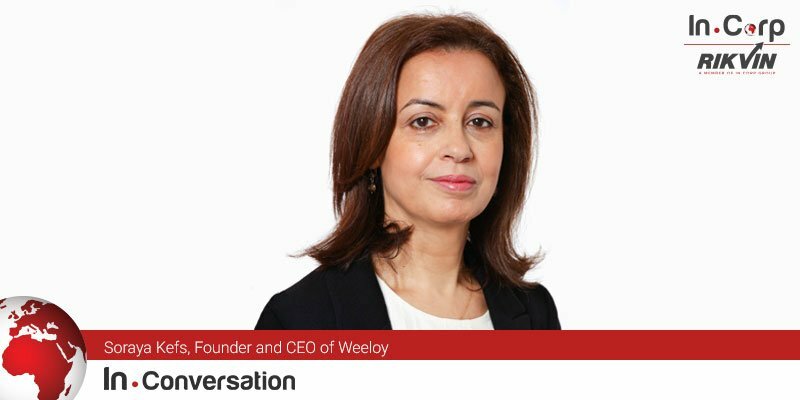 With 15 years of hospitality tech experience under her belt, Soraya Kefs, Founder and CEO, tells us how she translated that know-how into F&B technology platform Weeloy, with happy customers being her main driving force. Weeloy offers an unprecedented white-label software solution for all F&B businesses. It is a one-stop, full-suite management platform for restaurants to manage reservations, tables, catering, online ordering and even do marketing. The data-centric platform also offers B2B components to allow patrons to discover and engage with restaurants directly. We have over 15 years of experience as a provider of technology to the hospitality industry, where we serviced more than 10,000 hotels across Asia, Europe and North America. It was clear from 10 years ago when we had discussions with both hotel and restaurant owners and managers, that restaurants faced the same challenges as hotels in terms of gaining visibility on the Internet, improving their workflow, knowing their customers, analysing and using their data efficiently, and protecting their brand. That’s how Weeloy came about. I visited the Singapore office of my previous company multiple times a year. During those trips, I would also travel to other Asian countries such as China, Japan, Thailand, Indonesia or Vietnam where we had a strong presence. I have always considered Singapore as an ideal hub from where we can target the Asian market and achieve growth. With such a tech-savvy and foodie population, Singapore was the best place to start Weeloy. Finding the right investor at the right time was our biggest challenge. Finding talent, especially for a technology company, was another challenge in Singapore. Rikvin was a catalyst in finding investors for Weeloy at two different stages of its journey. We started off with investors in the form of family and friends that helped demonstrated our concepts and business perspectives. That gave us sufficient time to search for the right venture capital firm. Rikvin then assisted us in securing our Series A funding of US$3.6M from a Malaysian venture capital company. Our collaboration with Rikvin began with them being our company secretary in charge of our accounting and legal. The relationship quickly progressed to Rikvin becoming our partner and taking charge of our M&A efforts. 1. The first customer is a Michelin-star restaurant – Kitchen at Baachanalia. The operations team and management were using a “patchwork” solution that was giving them a lot of trouble and cost them a lot of time and money. We knew how intense and stressful the journey of a restaurant is. Therefore, the technology employed should help them in their journey and not add another layer of stress. We chose Weeloy mainly because of its flexibility to address our individual needs and procedures. The solution has done this and beyond while giving the feel we want, with our brand and style. The availability of data is a very beneficial perk rarely seen on other solutions, its application to marketing and analytics is unmatched by any other booking system. 2. The second customer is a renowned brand of restaurants – PS. Café. The management was looking for a solution that would adapt to the needs of their operational staff and a partner that would help them optimise and build their data throughout the restaurant group. I feel that PS.Gourmet and Weeloy were a perfect match when we first met. Both companies, having years of experience in their respective fields and still able to keep an open mind about growing their products / experiences, while maintaining a 120% focus on their guests and clients. Always wanting to perfect the perfect and always open to change. This is why we are more than just client and colleagues, we are partners. Weeloy’s belief that their product should benefit not only the guest, but most importantly the staff working with it, is the main reason we chose to work together. Most products out there are confusing and complicated with too many whistles and bells. While the passion to grow my company to the next stage and succeed with my team is great, what impacts me most and the most rewarding aspect of this is being able to bring success to my customers. Long distance calls with my children, on two different continents. I want Weeloy to become a global player in this industry. We are innovators and we are always bringing in best practices and new solutions to the market. This has been going on for more than 15 years in the hospitality business and is now happening with Weeloy in the F&B business. We protect our customers’ brands with true white-label solutions which were totally inexistent two years back. We innovate the restaurant workflow by automating and streamlining processes, integrating with several external solutions, and in the end, providing a compelling global solution that helps our customers get ahead in the game. You have to be convinced and passionate. You need to know how hard this entrepreneurship journey will be, but also how great the rewards you’ll be able to reap. “The Hard Thing about Hard Things” by Ben Horrowitz. It is a great book of passion and vision and it describes in depth the startup life at various stages. It was written by an entrepreneur who “did it”.